When you pick up a fight with a presumably unpredictable neighbor, the instant reaction would be to induce like-minded friends to support your arguments to the hilt. It becomes a litmus test to ascertain who stands by you and who gives unsolicited and unhelpful advice. Following the recent terrorist attacks in Uri, India is on the look-out for countries that could help nail Pakistan’s long-held lies about taking sufficient action against Islamist terror outfits. Just like in personal relationships, international relations is all about interacting and befriending countries that share common values (and of course, to look for that ideal partner to leverage one’s comparative advantage in trade!). Pakistan has China on its speed dial. Who has India got? USA? Think again. It is noteworthy that Russia immediately withdrew its joint military exercise with Pakistan in PoK without the slightest of Indian efforts to persuade them to do the same. 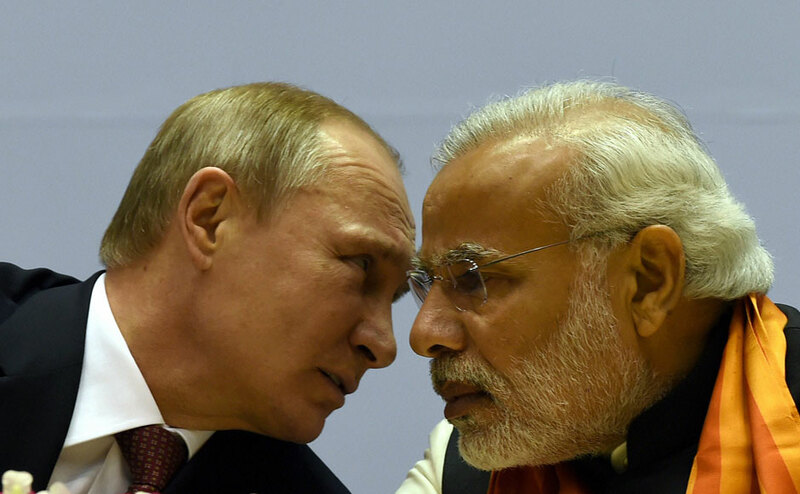 However, Indo-Russian ties have been at an all-time low since the Modi government took charge. It must also be added that a contributing factor to this development has been India’s growing closeness to the USA and the uncharacteristic bromance between Barack Obama and Narendra Modi. Earlier, when USA managed to convince the world to rally behind it in imposing sanctions against Iran, there was little pushback from its gullible democratic partner, India. However, despite the clinching evidence against the Pakistani state’s role in the Mumbai terror attacks, USA chose to settle for ‘strong words’ rather than impose sanctions, much to India’s dismay. Of course, every respectable country would make routine gestures and lend counter-terrorism support, in the aftermath of any terror attack. Therefore, the likes of France, Britain, Germany would be quick to warn Pakistan but stops short of any reasonable punitive measures. As far as countering Pakistan is concerned, it would make more sense for India to join the Russian bloc than relying on the NATO powers. Why? Because for starters, Pakistan is a crucial ‘satellite state’ for the US and its western allies. Add to this, Russia (or even more so its previous avatar in the form of USSR) has a history of fighting jihadist forces in Afghanistan during the time of the Soviet occupation. In the ensuing period, the US has depended on Afghan warlords propped up by Pakistan to drive the Soviets back home. In the post-Cold War setting, Pakistan unabashedly sided with the USA’s self-interests in the region and had limited diplomatic engagement with Russia. Admittedly, India didn’t come across as a troublemaker either in the eyes of USA or Russia. But, the foreign policy failure vis-à-vis Pakistan is a tremendous blow. To complicate matters further Pakistan has been sourcing arms from Russia, and India too is to be blamed for that as our unabashed favours to USA as well as sidelining of Russian interests have been exploited by Pakistan to good effect. It goes without saying that the two countries would need to come to a closure on the Kashmir issue and acknowledge the atrocities committed by the armies on both sides. If it’s well within Pakistan’s right to internationalize the Kashmir issue, it isn’t a cardinal sin for India to point out why Pakistan continues to harbor some of the most deadly terror outfits in the world. A good starting point would be to continually brief Russia about our deep suspicions about Pakistan and leave it to Putin to take America head on in other stages like how it is happening in Syria. The truth is: India needs a close friend and quickly. Russia is a true friend. You cannot trust US.